As we all know, on February 25th, Samsung is going to announce its newest flagship smartphone and the rumor mill is ready to show off the upcoming handset well in advance. 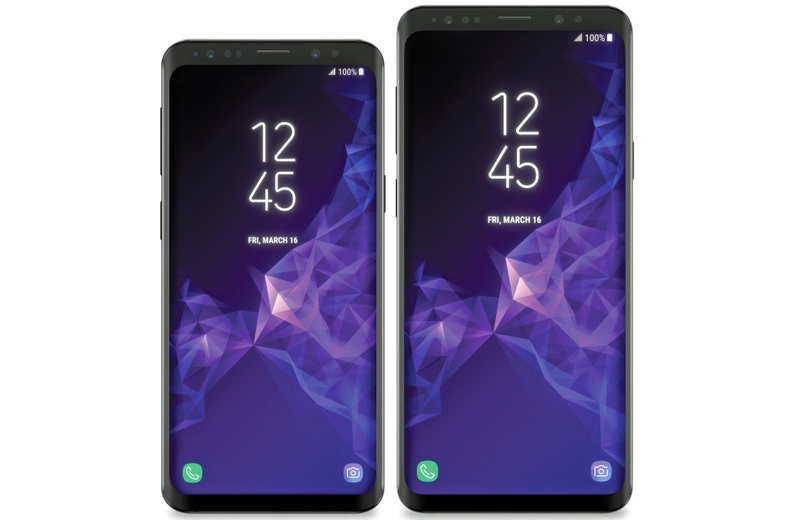 VentureBeat has a clear look at the upcoming Galaxy S9 and Galaxy S9+, showing off the front of both handsets side-by-side. The new handsets share the major design cues from the Galaxy S8 and Galaxy S8+, offering reduced bezels on all sides to maximize screen real estate. In the case of the Galaxy S9, the report indicates it will have a 5.8-inch display, and the Galaxy S9+ will reportedly boast a 6.2-inch display. Both flagship devices will have a Qualcomm Snapdragon 845 processor to run the show. Meanwhile, the Galaxy S9 will have 4GB of RAM and 64GB of built-in storage, while the Galaxy S9+ is said to boast 6GB of RAM and 128GB of built-in storage. Rumors have pointed to the Galaxy S9+ having a pair of cameras on the back, but it sounds like the primary shooter will be 12-megapixels, as is the case with the single camera present on the Galaxy S9. The camera improvements that Samsung will be touting this year will be the variable aperture on the primary 12MP camera on both devices, which will allow the aperture to change between f/2.4 and f/1.5. As far as the fingerprint reader is concerned, it will still be on the back, but Samsung has indeed changed its position. Instead of being on the side of the camera setup, it will now be aligned vertically and below. That should make it easier to reach, and should squash the only real complaints about the Galaxy S8 from last year. We don’t have long to wait before Samsung officially announces both the Galaxy S9 and Galaxy S9+. Are you already planning on either device being your next daily driver?